Easy maintenance tips for getting your grill ready for spring season. The sunny weather gets the people going. Spring is regarded as the season of rebirth and it seems that other than all the plants and crops, even we humans experience rebirth as spring arrives. People like to be out and about, sun bathing, on the beaches and the most popular activity: have barbecue parties. Whether with family or with friends, barbecue and out door grilling has always been a fun filled activity that announces the arrival of spring. So here are some tips that you can use to get yourself ready for the grilling season. 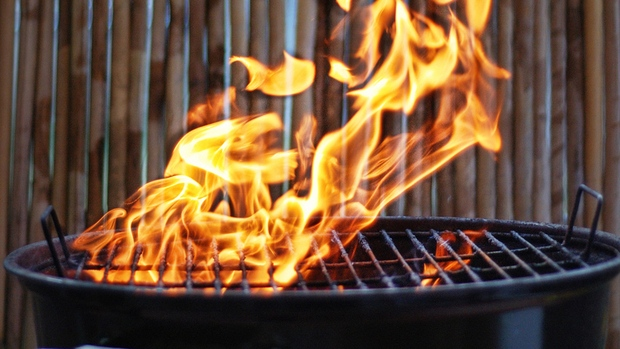 As you must've enjoyed the outdoors last season too and your grill might need a little more and care and maintenance this time around before you start grilling. You can kick start by prepping yourself with the right tools to get the job done. Get your hands on a pail or a bucket, a sponge or a brush and it just depends upon what you find best to cater to your need. From the most basic cleaning supplies you may own to the most advanced, you just have to get the job done. Now that you have your weapons of mass cleaning, you should get down to clean. Whether you covered your grill or not, doesn’t matter. It was used last summer and since then it has taken a hard beating of the weather and now you are about to use it again so it should be clean and safe. When done with the basic cleaning or the grates and scrubbing of the grill, take apart everything from the knobs to gas pipes to the rocks inside. And clean and check. Remove the heat tamers or plates too and clean them up. Take a look at the burners and burner tubes beneath them, these things tend to wear out quickly so you should better check it in advance. All in all take a good thorough look from the exterior to the interior of your barbecue so that you know it’s in a good shape for use and if not then it might need to be replaced. Now when you are done cleaning and putting apart your barbeque its time to put it back together and check for safety. All the things that you took apart and cleaned, are now supposed to work properly. You should check for any gas leaks or crack that might cause one later on and also if the grill handles are not loose. Keeping your grill in a good condition is an easy task if you clean and maintain through out the spring season when it is in use. It will keep you from having a mess at beginning of another and also increase the grill's longevity. So in conclusion, these were the 4 tips to get your grills ready for this season. Remember that never compromise on safety, if you feel that your grill has been done for and now you might need a new one, buy one.